EXCELLENT COMPANION: Wacces Yoga Balls promotes your overall strength, agility and balance at home, gym or in your office. 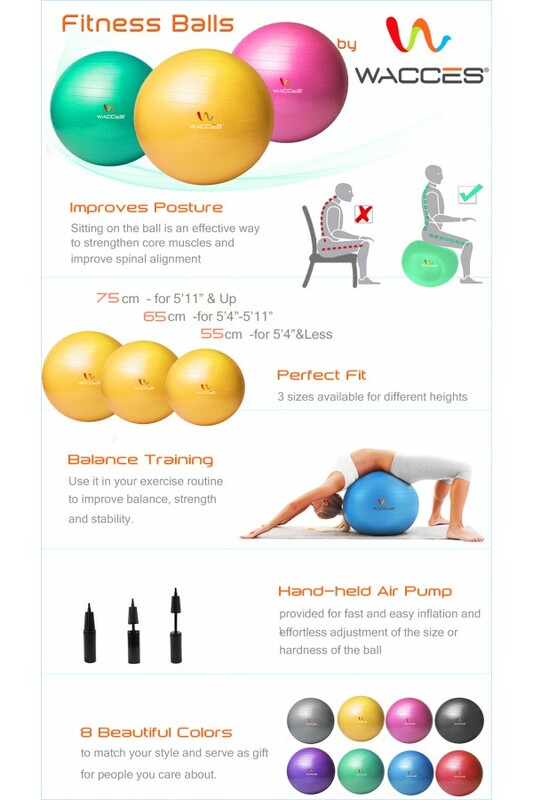 ONE FOR ALL: Can be used as a Yoga, Pilates, fitness, workout, training or gym ball or pregnancy gymnastics equipment. 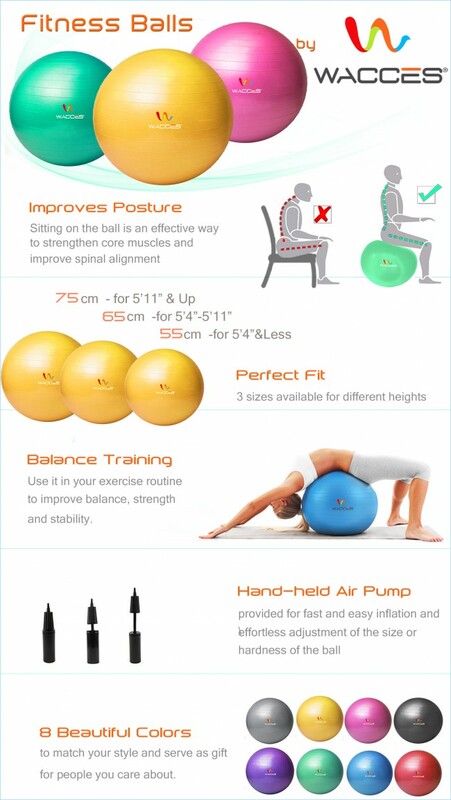 OFFICE BALL CHAIR: Also, it can be used as an office ball chair to improve your posture and relieve back pain. ANTI-BURST AND DURABLE: designed with anti-burst technology and durable enough up to 2000 lbs. Made of high-quality eco-friendly and hypo-allergenic rubber. 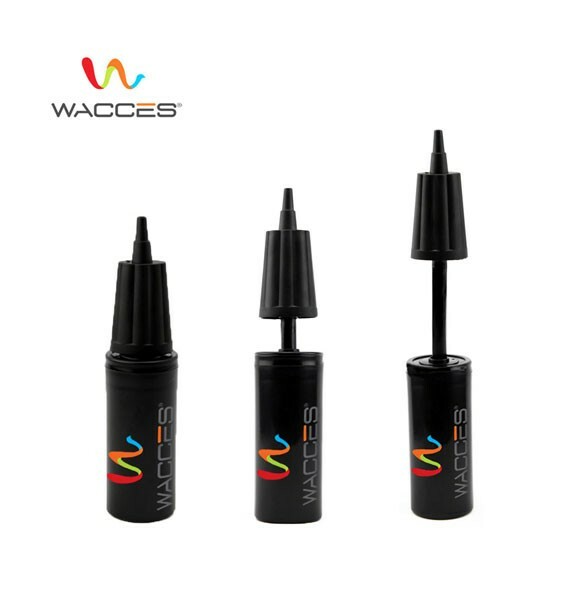 MULTIPLE SIZE: Our balls come with pump and have three size options: 55 cm, 65 cm, 75 cm. Get trim and toned with help from this Wacces Yoga ball. Wacces yoga balls offer a total body workout. You can use it in combination with a variety of exercises to strengthen your abs, back, glutes, arms, and other major muscle groups. 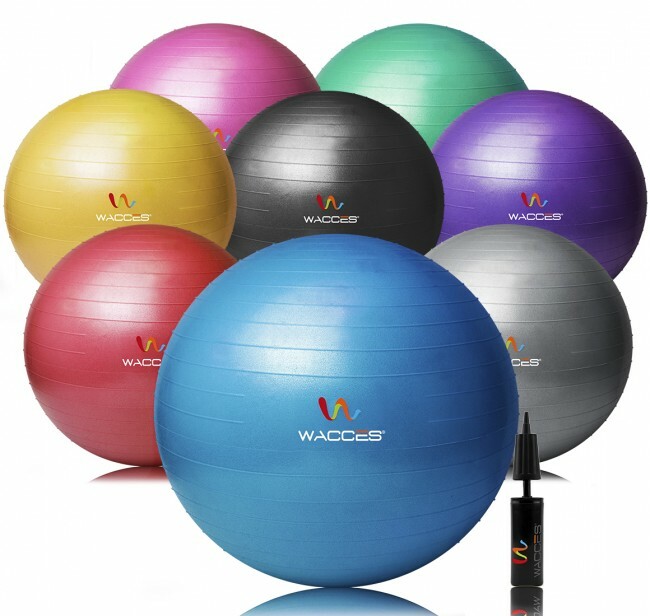 From Pilates and yoga to general strength training, Wacces Yoga Ball helps improve core strength, agility, and natural balance. Best of all, it's designed for all skill levels from beginner to advanced. 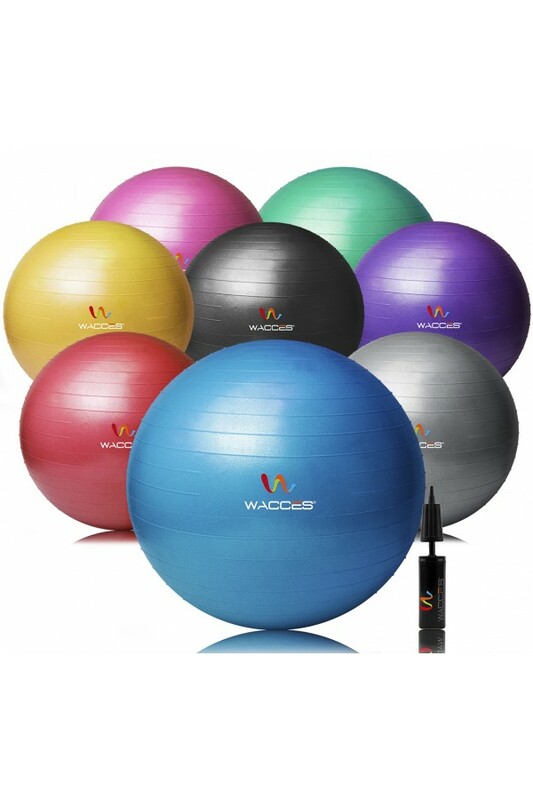 Made of high-quality rubber and featured with anti-burst technology, Wacces Yoga balls provide long-lasting dependability. It also features a matte textured finish with horizontal lines for a more secure grip and to help avoid slipping. This type of slip-resistant surface makes it easier to focus on correct alignment and holding your pose for the duration. 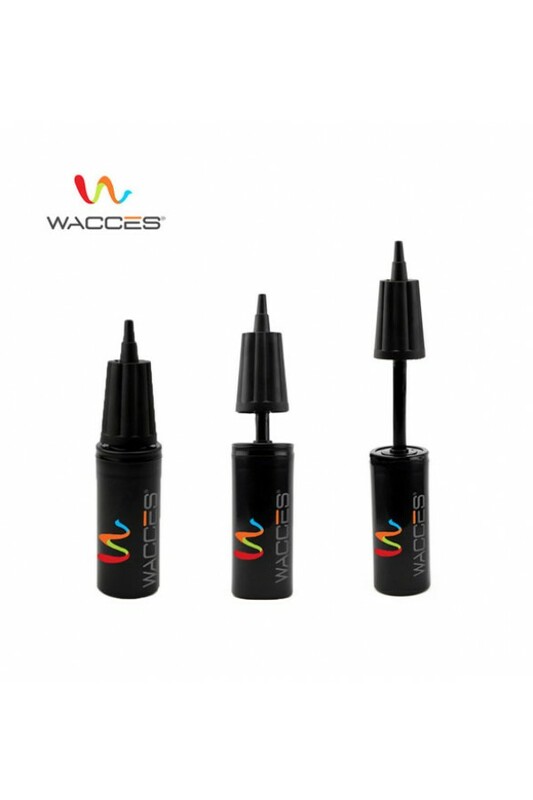 A user-friendly hand pump comes included for quickly and easily inflating the balance ball. Once at the ideal level, insert the air stopper (plug) to seal off the opening. An extra air stopper comes included. For best results, it may be necessary to occasionally re-inflate the ball after the initial inflation. 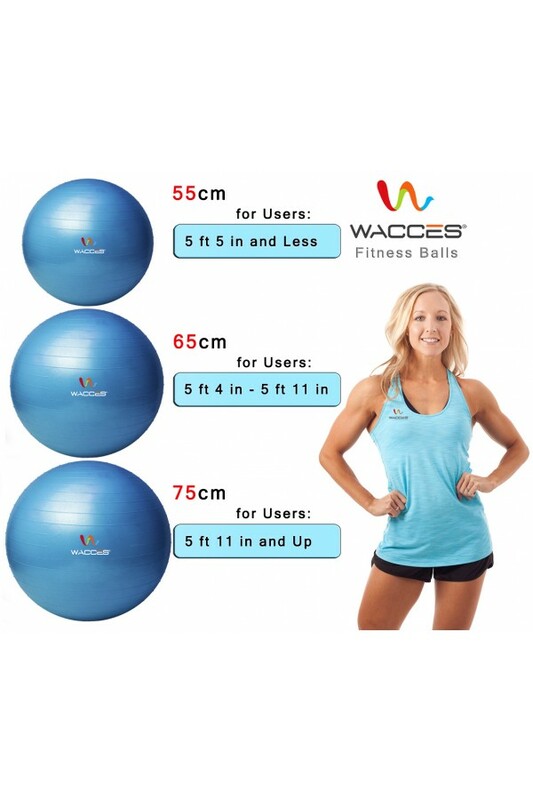 The durable construction of the Wacces Yoga ball fully supports you so you can focus on your workout, whether you're using the ball to perform elevated push-ups or plank, back bends or bridges, or for help with proper positioning when holding it with hands or ankles for slow sit-ups or core-enhancing crunches. Wacces Yoga ball can even be used as an office-chair alternative, helping to promote circulation, balance, and even flexibility with a gentle backbend when it's time to take a break from staring at the computer screen. 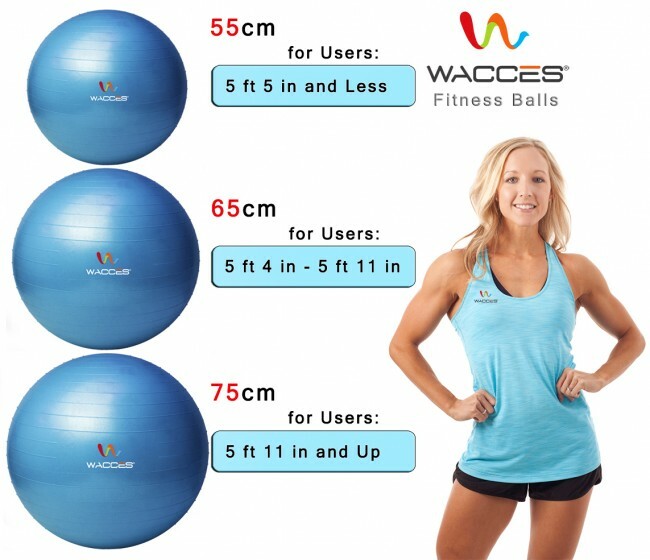 Wacces Yoga balance ball can be used just about anywhere from the gym to the home or office.